Your orchards weather and climate offers many benefits for horticulture, but undesirable events also expose the orchard to some weather and climate related risks. Horticulturalists manage the risks in many ways. 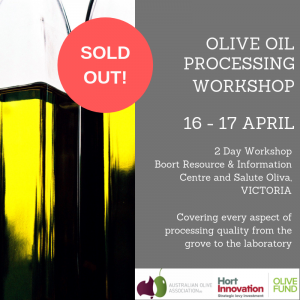 Understanding your crop and the role weather and climate has on its development, olive yield and your profitability assists in planning how to avoid or alleviate these undesirable impacts in the current climate and in a future more variable and changing climate. The first New Zealand Focus Grove Project has been a success for the New Zealand olive industry. This is largely due to the buy-in from growers and their willingness to attend regional field days. Statistical evidence suggests that outcomes from the project are being met. There is now a plan in place to make an application to the Sustainable Farming Fund for a second Focus Grove Project on a new topic. 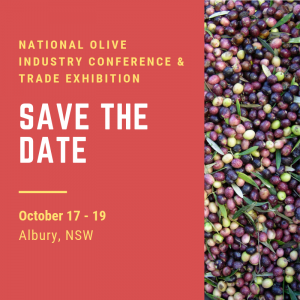 A three-year project, a strategic investment under the Hort Innovation Olive Fund, An integrated pest and disease management (IPDM) extension program for the olive industry (OL17001) is underway. It aims particularly to address the difficulties many small to medium conventional and organic growers face in managing their pest and disease problems, and especially focuses on three major industry problems: black scale, olive lace bug and anthracnose. The first project activity has been a national industry survey. Nine IPDM workshops are scheduled, with 2 already conducted. On line and other material is also to be developed. The presentation provides an update on the project. Mike Thomsett’s Earthbound Horticulture Consultancy has been utilising UAV (drone) monitoring for groves across NSW since 2017. Astounded at the benefits they bring to the grove manager, Mike is keen to share this with you. The “Drones in Groves” segment is an Introduction to UAVs for growers. By demonstrating and showcasing what is easily achievable, while raising awareness of the legal and regulatory framework that exists Will help growers take the next step towards getting a higher perspective of their farms and gather valuable information for smarter decisions. Succession planning for agribusinesses, and particularly family owned and operated enterprises, can be a complex issue and the ramifications of ignoring it can be even more so. And it’s not just about who gets the grove when you go: life in agriculture is full of unforeseen circumstances and it’s important there’s a plan in place to ensure your business can continue if you’re out of action. 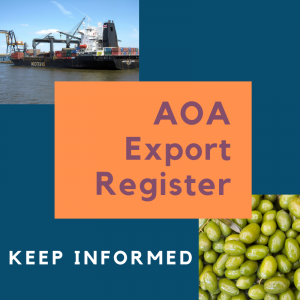 While Australian exports are predominantly oils, the global demand for fresh and preserved olive products is substantial. The majority of opportunities for Australian suppliers will likely sit within the USA, China, Japan, Korea, ASEAN, India and the UAE. Austrade/TradeStart and the NSW Government can assist businesses in setting and achieving their export objectives including: planning for export; market entry strategies; exploring a product’s market potential; identifying new markets & market opportunities; identifying potential overseas business partners, customers; and understanding distribution channels and regulatory requirements. The occurrence of diet related diseases is growing, over burdening our health care system and leading to demands for healthier and personalised food options for enhanced wellbeing. The concept of personalised nutrition is transforming the agrifood industry and how diet recommendations and advice are provided to the consumer. The future lies in the integration of intelligent with real-time sensors that capture individual needs, to develop structured foods that are customised for optimum nutrient delivery based on the person’s genetic information, lifestyle and physiological state. Catherine provides an overview of the health benefits of Extra Virgin Olive Oil in the context of a traditional Mediterranean Diet. Catherine summarises the scientific evidence from international studies and studies that she and her colleagues have conducted in Australia over the last 20 years. 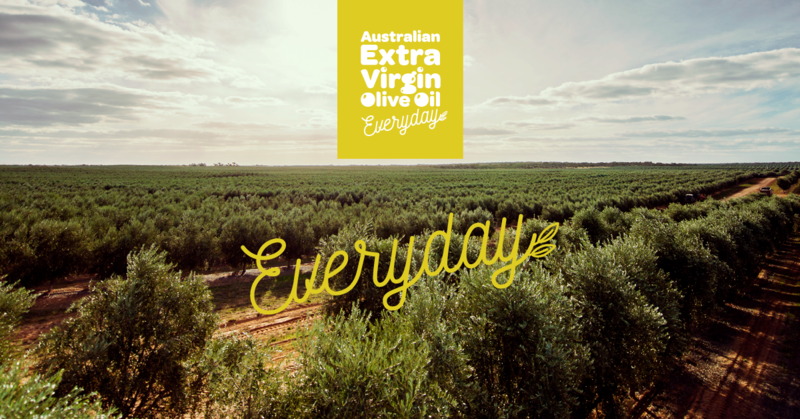 Practical advice on incorporating EVOO into the diet of Australians is also provided. Where do fermented table olives fit into the new integrative take on health? Table olives need no longer be the Cinderella of the industry! Linda puts the benefits of table olives into perspective. 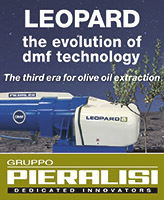 A presentation on the data and trends over the past five years in the olive oil and broader cooking oil segments of the market. Will Fuller, Agency Director from FULLER provides the conference with an update on the Australian Olive Association’s ‘Everyday’ consumer marketing campaign. In its second year the ‘Everyday’ campaign aims to educate and create awareness of the value proposition for AEVOO; Healthy, Fresh and Tasty. The presentation provides a snapshot of the content produced with data and analysis from the Facebook, Instagram and Google activation.